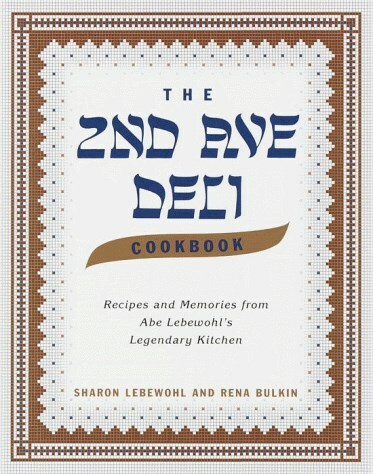 The Second Avenue Deli Cookbook contains more than 160 of Abe Lebewohl's recipes, including all of the Deli's peerless renditions of traditional Jewish dishes: chicken soup with matzo balls, chopped liver, gefilte fish, kasha varnishkes, mushroom barley soup, noodle kugel, potato latkes, blintzes, and many more. These versatile dishes are perfect for any occasion--from holiday dinners to Sunday brunches with friends and family. The late Abe Lebewohl was a great restaurateur in the showman tradition and a well-known and much-loved New York personality. His famous Deli attracted hundreds of celebrity patrons, many of whom have graciously contributed to this cookbook not only personal reminiscences but also recipes, running the gamut from Morley Safer's family brisket to Paul Reiser's formula for the perfect egg cream. A wonderful blend of New York and Jewish history and mouthwatering recipes, The Second Avenue Deli Cookbook provides a delicious taste of nostalgia.